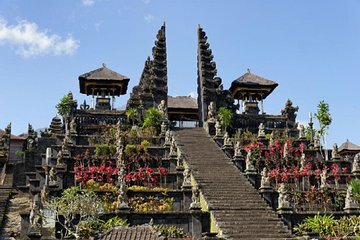 Discover the best of the island of Bali on a private day trip to iconic landmarks. See the sacred Kintamani Temple with views of Mount Batur, watch a traditional Barong dance, stroll through the Tegalalang rice terraces, and learn about local Hindu culture at the Besakih Temple over the course of the day. Light snacks, refreshments, and a private, air-conditioned car are included.